Air defence capability gaps have become more apparent in recent years with the emergence of Unmanned Aerial Systems on the battlefield, which forced land forces’ commanders to take measures. Major General Glenn A. Bramhall, Special Assistant to the Director Army National Guard, US National Guard understands well the need for land forces to operate freely without being constantly under threat with no means of defence. 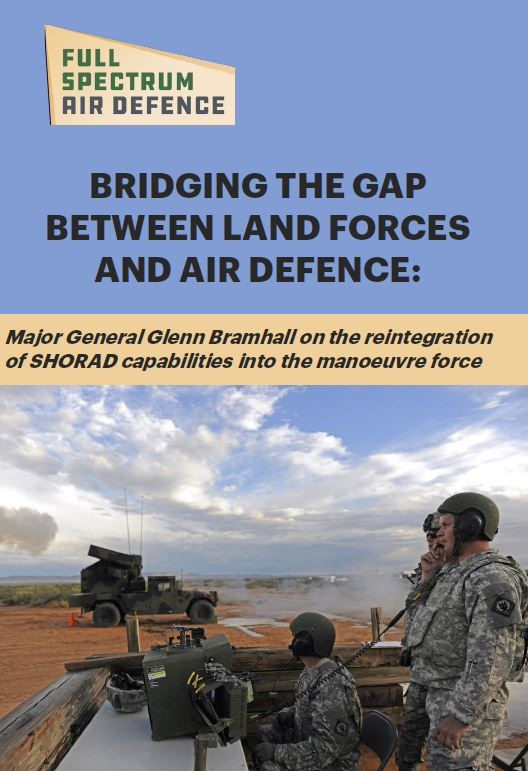 He will share his exclusive insight on the reintegration of SHORAD capabilities into the manoeuvre force at this year’s Full Spectrum Air Defence International and explains in this exclusive interview the reasons leading to the decision.